As we reported late last week, the two towns were taken off the long list of towns where charges are still proposed, which include Burnley, Padiham and Clitheroe. The proposals, from Lancashire County Council's Conservative administration, had attracted cross-party opposition from Pendle Tories, Labour and the Liberal Democrats. “This is a fantastic victory for everyone here who has fought this crazy idea,” said Colne Lib Dem Coun. Dorothy Lord, a main organiser of the petition. Her Liberal colleague County Coun. David Whipp, who is leader of the Liberal Democrat group on LCC, said: “It proves that people power works. It was Colne that led the campaign and won its battle and frightened the Conservative LCC administration into this climb-down. The leader of the Labour group on Pendle Borough Council, Coun. Mohammed Iqbal, praised the support of residents in persuading the county council to withdraw Pendle from the controversial scheme. He said: "It was a silly idea in the first place. It's clearly fantastic news for the people of Nelson and Colne, particularly independent traders who faced the real prospect of their businesses being killed off. "The Conservatives have clearly done a U-turn after huge public pressure, and I want to thank the residents for that. No-one I have met thought it was a good idea." In Colne, the town's BID board was also celebrating the decision. Stuart Wilson, chairman of the BID Board, explained: “As soon as we heard about the threat to Colne, we wrote to all Lancashire County councillors in the strongest terms. "We felt they did not understand just how important free parking is to our retail and leisure offer. We are fortunate that we could also bend the ear of BID board member, County Coun. Joe Cooney." The Colne BID was formed in 2018 to boost business in the town after winning a referendum of businesses to form what is essentially a co-operative that can raise a levy based on business rates. Campaigning on behalf of Colne’s businesses is an element of the BID’s work. County Coun. 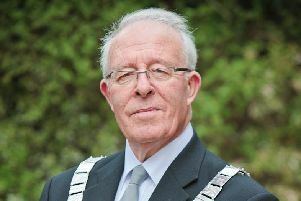 Cooney said: “I have lobbied hard for Colne retaining free on-street parking with Pendle Council leader, Coun. Paul White. This good news comes hot on the heels of more positive news for Colne’s town centre, with the re-development at the former health centre finally poised to start and planning applications being submitted which will deliver new futures for two problem sites - the former Blockbusters and the former Kippax Biscuit Factory. Lancashire County Council will meet again on Thursday to discuss the fate of the other boroughs on the list, including Burnley and the Ribble Valley.